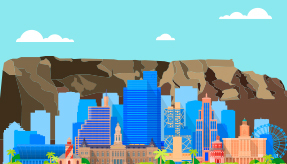 Microsoft invites you to the Future Summit Cape Town to delve into AI. The Future Summit is Microsoft’s flagship event that talks about the hottest technology topic, artificial intelligence(AI). The summit brings together people, businesses and industries to discus and delve into the future of AI with real life examples. Microsoft also takes the opportunity to showcase it’s AI platform and services at the event. Microsoft says “AI combined with human ingenuity is already helping people do amazing things. At Microsoft, we believe that AI, with people as its center, can extend our capabilities beyond our imagination”. “Thanks to AI advances, we are changing the transportation landscape, discovering new ways of protecting the planet, reinventing healthcare to connect with customers and so much more“. Future Summit is scheduled to take place at the Nu Metro Extreme(Theatre 12) Canal Walk, Cape Town, South Africa on the 13th of September 2018. On the Agenda will be sessions about digital transformation with AI and transforming Data into Intelligent action. Blockchain and AI, Bringing Internet of things to life and a panel session on Future of human. Interested in attending the days event? Kindly visit the registration page to register.